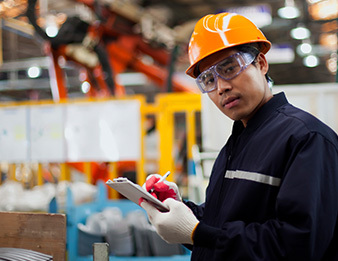 Search and Apply to Manufacturing Jobs at Crown Services. At Crown Services, we are excited to announce a number of manufacturing jobs with tremendous career potential! If you are a skilled professional who’s ready to take a step up in your professional life, we invite you to check out what all Crown Services has to offer. Offering excellent starting pay, flexible work schedules, on-the-job training, and continuous opportunities for advancement, the benefits of working with a Crown Services employer client are numerous. We are in the business of recruiting and retaining the industry’s top talent. Are you ready to work with our winning team? Join the Crown Services Talent Network today to learn more about our openings for manufacturing jobs near you!